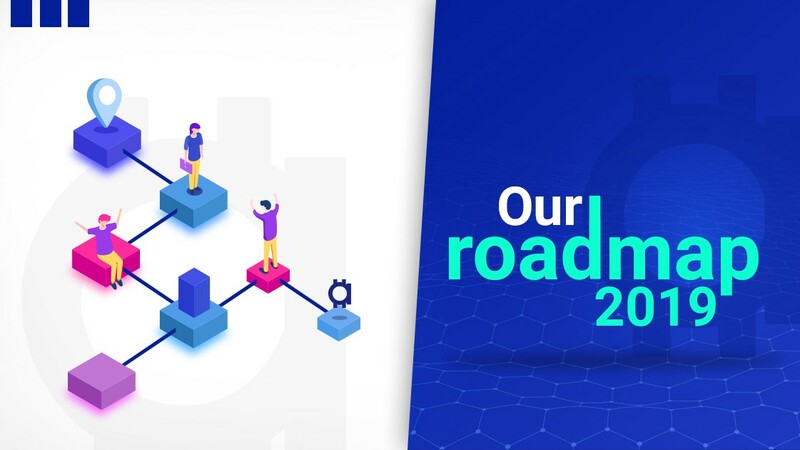 Cashaa Roadmap 2019 — Our Road to Greatness, join us now! Our mission is to bank a global Crypto Economy and as the months are passing we are coming more closer to it. Hundreds of projects were started in 2017–2018, doing ICOs or token sales, frequently promising to create a bridge between the traditional and the crypto industry or develop crypto-fiat banking, but not a single company has been able to deliver anything near to that. All we have seen were companies that used brand names and fake partnerships to jump their token price. At Cashaa, our vision was clear from the day we were founded. Any shortcut in compliance and marketing ahead the product will jeopardize our future. We worked hard during the bear market to focus on building the product and open new markets to bring crypto adoption. So far less than 0.5% of the people in the world have tasted crypto, and soon we will see a huge rise when the remaining 99.5% become aware of its true potential. Irrespective of small adoption, crypto has become one of the most disruptive industries and hundreds of businesses are coming up. However, most of these businesses lack banking infrastructure. Check out our Business accounts if your exchange or crypto company needs banking. In the first quarter of 2019, we launched our wallet, enabling business onboarding and so far had 203 businesses sign up, all ready to get their crypto banking. While we gave compliance and regulation a priority, we made sure that the fundamentals of crypto of your keys, your Bitcoin must be maintained. Finally, in April 2019, we launched a full banking UK current account for all your local and international banking needs with Mastercard. A unique borderless payment platform for all the banking needs for global businesses. Whatever you may need, we make it easy by providing you with exceptional online banking experience. We also had a superb Blockchain Summit India, where we were selected Fintech Partner, giving us exposure in an important time before India will open up for cryptocurrency and facilitating a possibly huge adoption. Click here to know about Vision Blockchain 2030 and what we are doing in India. As promised, we have worked on our roadmap which we are excited to share with you now! Crypto turnkey solution for businesses, so that they can start selling crypto on their platform using credit/debit card in just 5 mins using our turnkey solution with zero risks involved. The first release will be made by 10th May with frequent features updates. Consensus 2019: We are proud to be a sponsor of one of the most well-known crypto event worldwide. 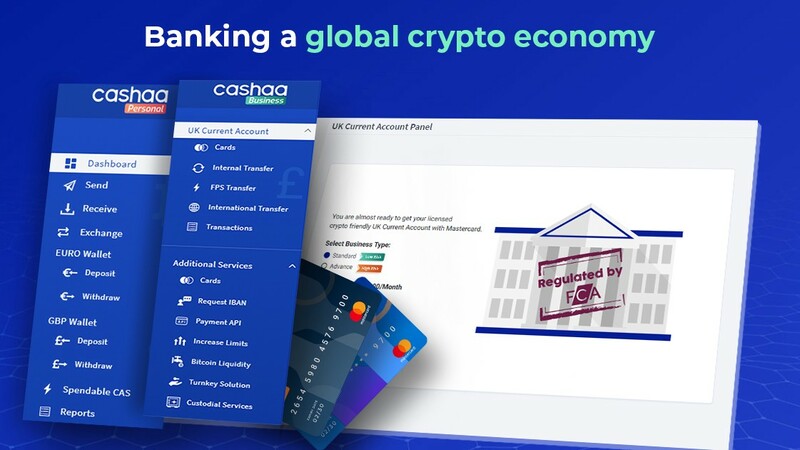 The best way to start marketing is by showcasing the Cashaa accounts, in front of 8000 crypto lovers and companies. Marketing for CAS tokens will start in partnership with CoinmarketCap. Pre-registration for personal accounts with full banking current accounts will start at Consensus 2019. Buy/Sell and store XRP, BCH, BSV, and BNB in the Cashaa multisig wallet. Buy/Sell and store stablecoins (USDT) in the wallet. Online Banking platform for personal users to manage fiat and crypto. Get a fully licensed UK current account with Mastercard to buy, store, exchange and spend your fiat and crypto worldwide. Buy/Sell and store EOS, ETC, XAL, LTC in the Cashaa multisig wallet. Starting Cashaa crypto meetups in Europe, Canada, Russia, and SE Asian countries. Buy/Sell and store TRON, XLM, DASH, NEO in the Cashaa multisig wallet. Make sure you share these updates with all your contacts and get them on board — together, let’s make 2019 the best year ever! If you liked this article, give it a bundle of “clap” to help people discover it!